Last night was one to remember. Robbie’s transmitter came back online just as it was getting dark. 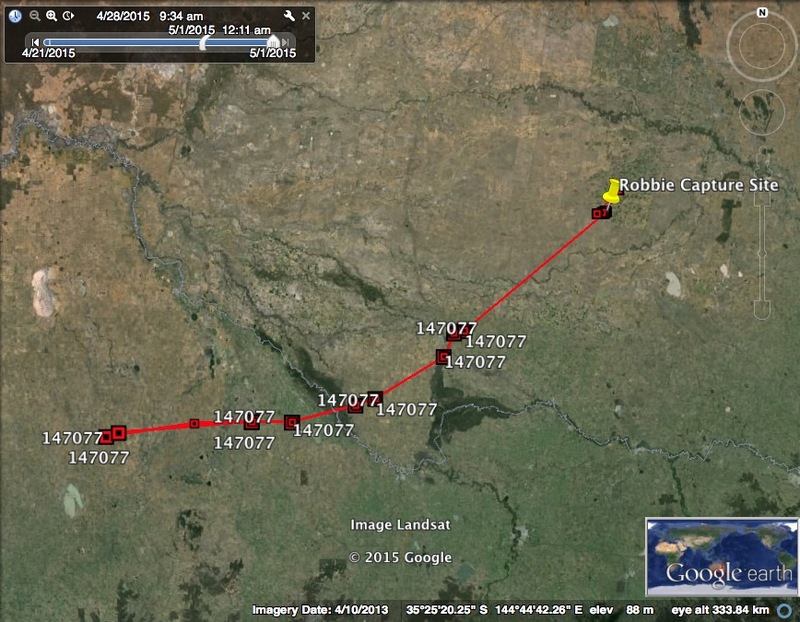 He’d already moved 88 kilometres from the Coleambally rice farm he was using, some time during the 48-hour off-cycle. 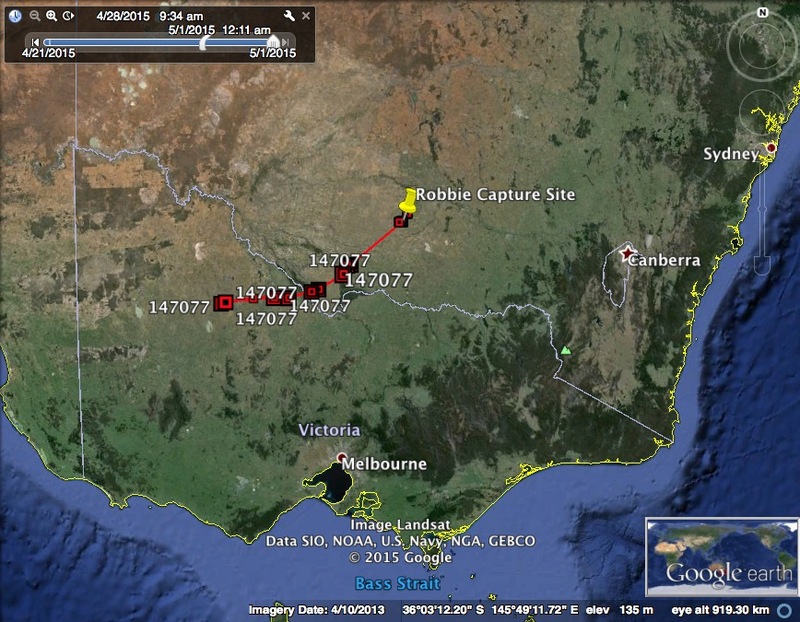 He was now near Deniliquin and we thought he might be chasing unharvested rice. But he kept moving. Soon, he was nearing the Victorian border and it became clear that we were witnessing his first time dispersal from the rice. Live. And he just kept on going. 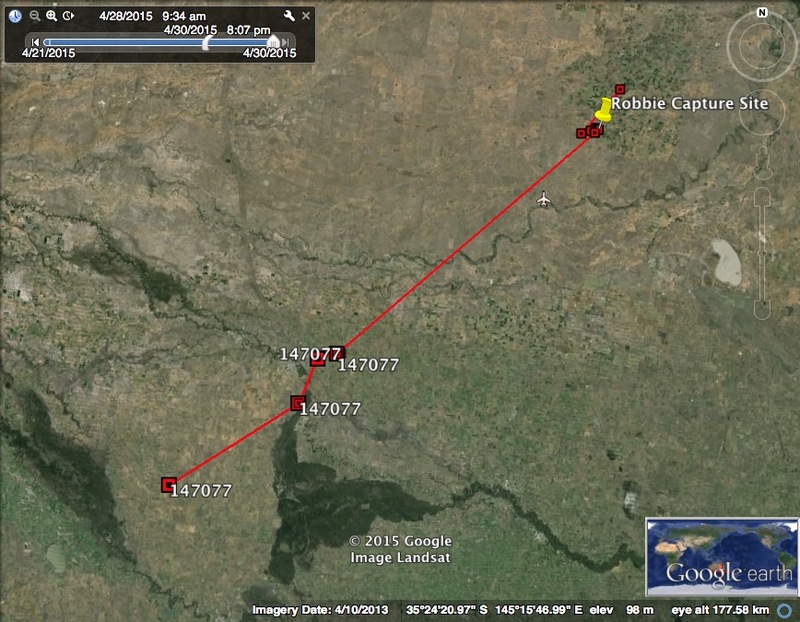 During the 8 hours of transmissions, Robbie flew about 180 kilometres. Keep in mind that he was a small egg just three or four months ago. The last transmission we received before another scheduled 48-hour off-cycle put him near Wycheproof in the Victorian mallee, heading west. He was 264 kilometres from his Coleambally home. One can only speculate about where he’s going and why, if he’s travelling alone and so on. His transmitter is due for another 8-hour on-cycle in the early hours of Sunday morning. Where will he be? It’s difficult to contain the excitement! It is a dangerous time though, and we hope that he and others like him find plenty of good wetland habitat during the cold, non-breeding season.